Condo Culture | Condo Culture Exclusive Assignments and Rentals! Condo Culture Exclusive Assignments and Rentals! We hope everyone had a great week! It's finally starting to feel a lot like Spring and do you know what that means? The new condo developments that began construction at the start of spring a couple years ago are now just months away from occupancy! 155 Caroline Street aka the Caroline Street Private Residents is one of the one’s we’re most excited about and for good reason. Referred to by many as Waterloo’s most luxurious new condo tower, Caroline Street Private Residences will be the first new condominium building to be completed in Waterloo this year and is one of the most well-executed new condos we’ve seen so far. Interior finishes rival some of the best locally and the attention to detail in both the design and quality of materials is evident at each and every step through the building. A number of floors are now reaching completion and we’ve had an opportunity to tour this building first hand. We are now taking clients interested in purchasing or leasing one of these exceptional condos on private tours of the building so you can see for yourself what it could be like to live in Waterloo’s most coveted new building. The building is officially sold out but select suites remain available for rent or purchase via assignment. See below for a list of our current inventory and reach out to us to arrange. Here’s a quick refresher on this sophisticated and elegant condo coming to Uptown Waterloo. Caroline Street Private Residences will rise 23 storeys high with breathtaking views of the city and gorgeous luxury condos that rival some of the best in the area. From 1 bedroom units to gorgeous multi-million dollar condos, this building has something for everyone and its located in one of the most walkable urban neighbourhoods our city has to offer. Step out your front door and grab fresh groceries at Vincenzo’s, grab dinner or a drink at the Bauer Kitchen or shop and stroll Uptown Waterloo or Belmont Village with a coffee in hand from one of the area’s local bakeries and cafes. Building amenities include a residents lounge, fitness centre overlooking the Iron Horse Trail, concierge, a guest suite for visitors, and a massive rooftop terrace among others. 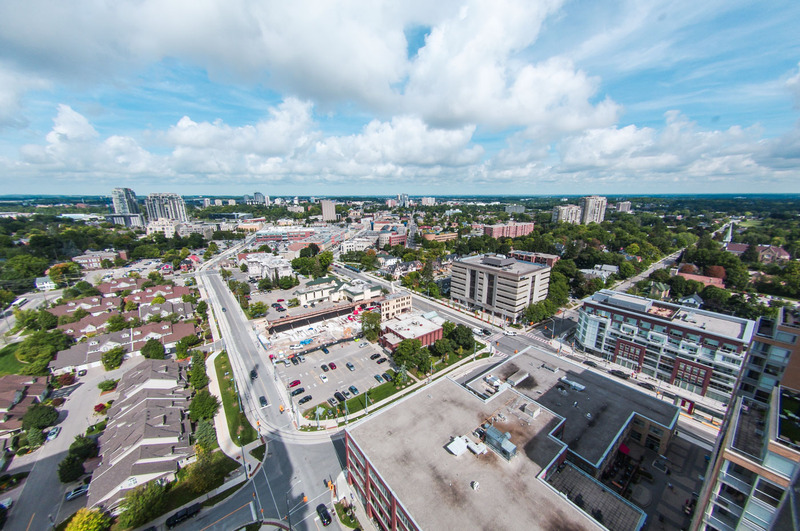 Not only will Caroline St. be one of Uptown Waterloo’s classiest condos but the location attracts many from near and far. You will also be footsteps to the LRT, and right next to trails, parks and a general atmosphere that embodies everything condo living is all about. The building is ideal for anyone who desires an active lifestyle in a quaint location with quick access to everything the city has to offer. Take a run on the Iron Horse Trail to Belmont Village or Waterloo Park or jump on your bike and take it all the way to Victoria Park and the rest of Downtown Kitchener. Many of you have inquired about what is available for sale and lease at Caroline. We have put together our latest inventory to help you navigate through all of the options available in this exclusive building. Click here to view all Condo Culture Rentals including Caroline Street Private Residences. We are just scratching the surface how truly luxurious Caroline Street Private Residences and once you go on tour, you’ll start to understand what we mean. Book at tour here or visit us at our Condo Culture Waterloo location, right across from the building, to get more information on current availability and set-up a private tour.